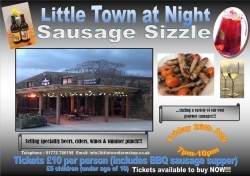 come and join us for our sausage sizzle on friday 26th August @7pm !! There will be an array of our fantastic flavoured sausages on the BBQ along with speciality beers,wines and summer punch!! Please call in at the shop for Tickets.